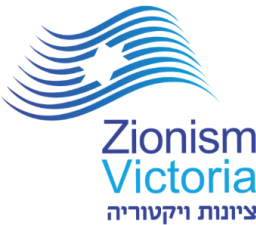 On Sunday night, the Zionist Council of Victoria and the Zionist Federation of Australia night hosted Prof Leonard Saxe, Ph.d and Klutznick Professor of Contemporary Jewish Studies and Social Policy at Bradeis University who spoke on the subject of how the Israel experience is a game changer for Jewish continuity. Prof Saxe who is also the author of Ten Days of Birthright Israel: A Journey in Young Adult Identity gave the audience the background of the Birthright program from its inception almost 20 years ago to its success today. Birthright is a unique, historical partnership between the people of Israel through their government, local Jewish Diaspora communities, and the Jewish Agency for Israel as well as leading Jewish philanthropists. Participants travel throughout the country for 10 days, exploring sites of historic, cultural and religious significance and are accompanied for a significant part of the trip by Israeli peers. In fact the interaction with young Israelis is now a central party of the curriculum and one of the most popular. The trip is available to Diaspora Jewry between the ages of 18 and 26. Since the start of the program more than 400 000 people from all over the world have made the journey to Israel and more than 70 000 Israeli have been involved in the program. Prof Saxe’s work with Birthright is enlightening, a social psychologist his work broadly concerns how individuals are influenced by their social environments. More specifically, his works include a variety of evaluative and policy focused studies of education, and the development of Jewish identity. His work spans decades of research and he has also published a paper following up on Birthright participants from 2001 to 2006. He found that the rate of intermarriage had decreased significantly among those American Jews who went on Birthright and that their experience in Israel had a significant effect on their views of the country. Among those participants who are currently married, Birthright participants are more likely than nonparticipants to be married to a Jew. Overall, the likelihood of intermarriage for participants is 72 percent, while for nonparticipants, the likelihood is 51 percent. Birthright has a number of other effects, above and beyond its impact on marriage choices. Even among those who are unmarried, or who are married to a non-Jew, Birthright participants are more likely to celebrate Shabbat and Jewish holidays and attend religious services. Shayndle Grinblat a previous Birthright participant and now a madricha for Birthright told the audience about her experiences and said: “Despite growing up in a Jewish environment, having a Jewish day school education, and attending a Jewish youth group; Birthright still changed my life and exposed me to Zionism, another avenue through which to express my Judaism. “I felt an immediate connection to the country, the people, the food. Being there was like being at my Shabbat table – loud, full of life and lots of food. In Australia we are privileged to be able to offer the Birthright program to the community. For those interested in participating contact Sarit Braber the ZFA Birthright representative in Australia on (03) 9272 5584. Next Arlene in Israel – May You Live in Interesting Times.